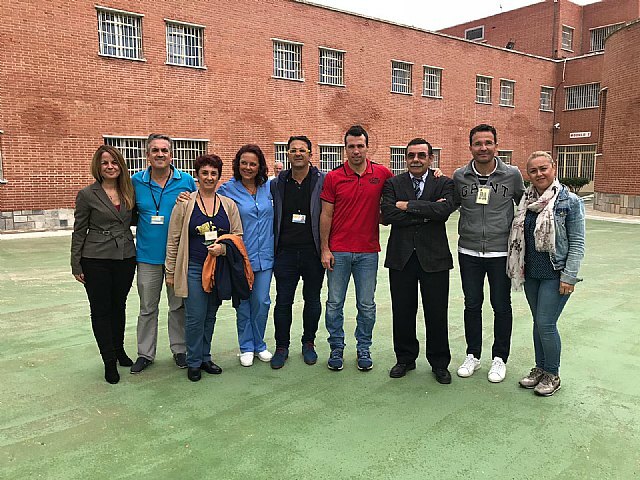 The Barcelona club of Totana , within its Solidarity program carried out in the penitentiary centers of the Murcia region, has developed the Seventh Day of Sport Against Drugs. The collaboration of the Department of Social Work and the Physical Education Department of the Murcia I Penitentiary Center, as well as the Penitentiary Matrix program has been provided. In the course of the day was attended by different personalities. The central act was chaired by the Government Delegate Diego Conesa, along with the Director of the Murcia I Penitentiary Center. As speakers, therapists of the Penitentiary Matrix program participated, as well as the coach of El Pozo Diego Giustozzi and the second coach of the UCAM Murcia Manolo Sánchez. This day is part of the preventive actions in drug addiction with the inmate population, and allows the Peña Barcelonista de Totana to interact, through its solidarity program, with people deprived of their liberty. The president of the PBTotana Juan Carrión thanked the management of the Murcia I Penitentiary Center and especially the Government Delegate in the Murcia region for their support to this type of activities that help to prevent addiction to toxic substances in our region.